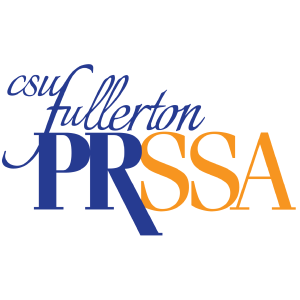 Holly Baird of Sitrick & Co. is sponsoring a CSUF PRSSA student’s year-long membership! Not only will your membership dues be paid for one year, you will also have the opportunity to have one-on-one monthly mentorship meetings with Holly! The sponsorship is open to all students regardless of major or year. 1. Answer all 3 questions on 2/5, 2/6, and 2/7 from the @CSUFPRSSA twitter page using the hashtag #csufprssaXholly. You just need to do your best and participate! 2. Within 600 words, share why you are the most deserving scholarship candidate. Include your ideal career path narrative and what you would like to do after graduation. 3. Email your resume, 600 words, and LinkedIn profile to csufprssa@gmail.com with the subject line “csufprssaXholly” by midnight on February 9. A winner will be chosen the week of February 12th! Please email with any questions and best of luck!